Pied Flycatcher (Ficedula hypoleuca). Male. Taken at Elan Valley, Powys, on May 4th 2018. Male. Taken at Elan Valley, Powys, on May 4th 2018. Pied Flycatcher (Ficedula hypoleuca). Female. Taken at Gwenffrwd-Dinas, Ceredigion, on May 3rd 2018. Female. Taken at Gwenffrwd-Dinas, Ceredigion, on May 3rd 2018. 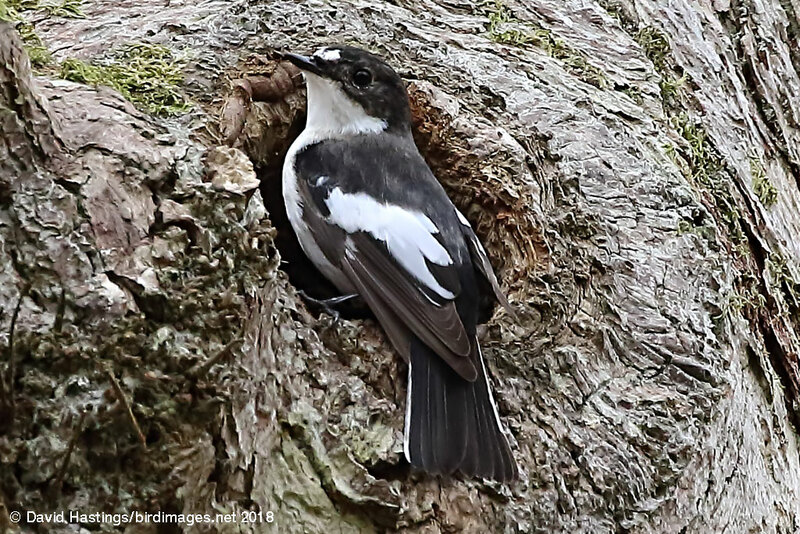 The male Pied Flycatcher is mostly black on the upperparts and white underneath, with a bold white patch on the folded wing. Females are browner. It is a summer visitor to Britain and Ireland. Birds spend the winter in west Africa. 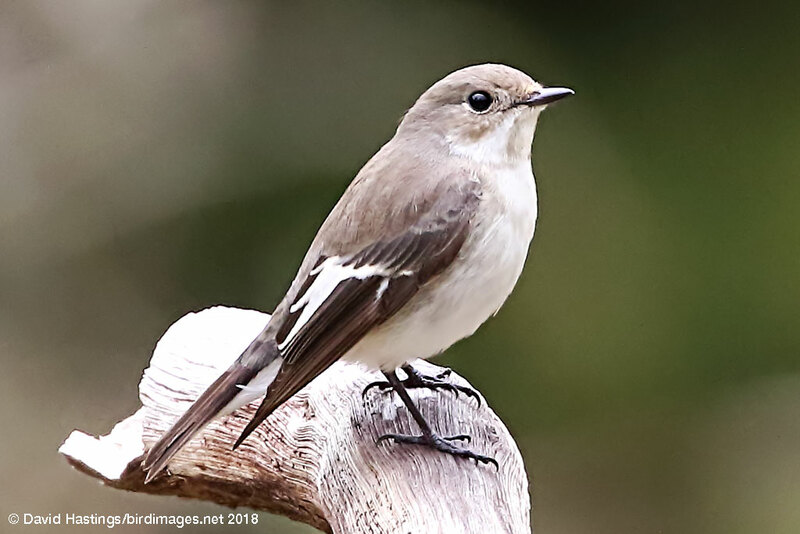 Pied Flycatchers breed in gardens, parks, and mixed and deciduous open forests. They are particularly attracted to mature Oak trees. It has amber status on the British list. Between 35,000 - 40,000 pairs breed here.